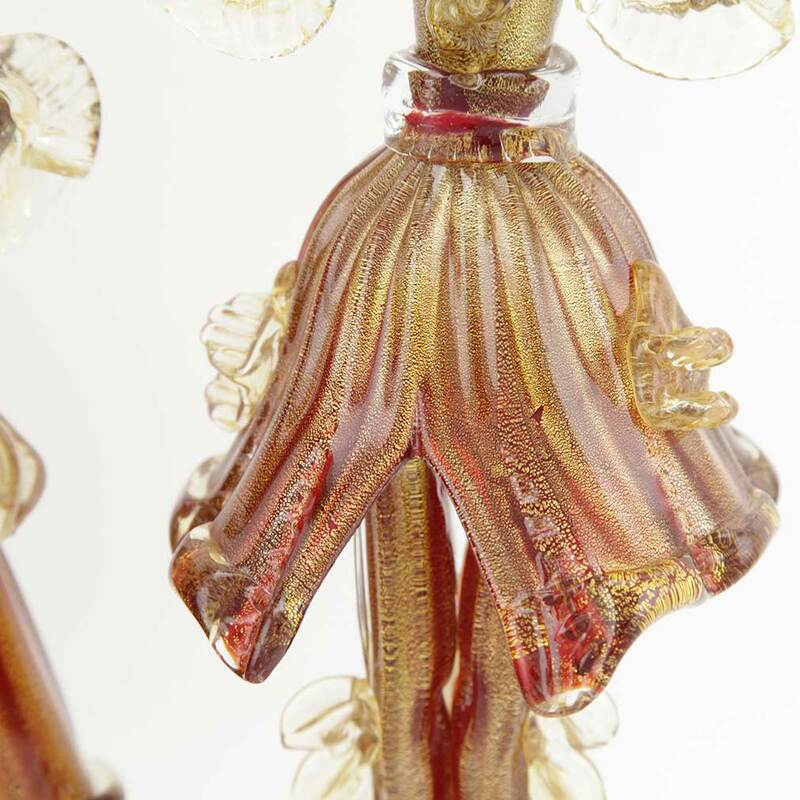 Venice is gorgeous, exquisite, and unique, with golden reflections playing in the water of its famous Lagoon. 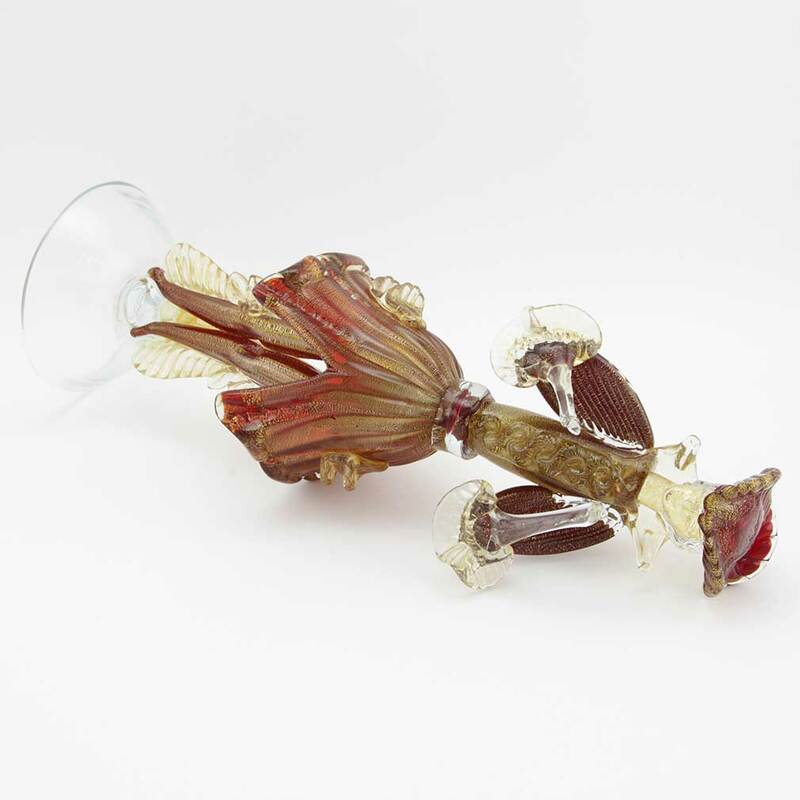 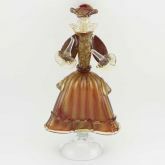 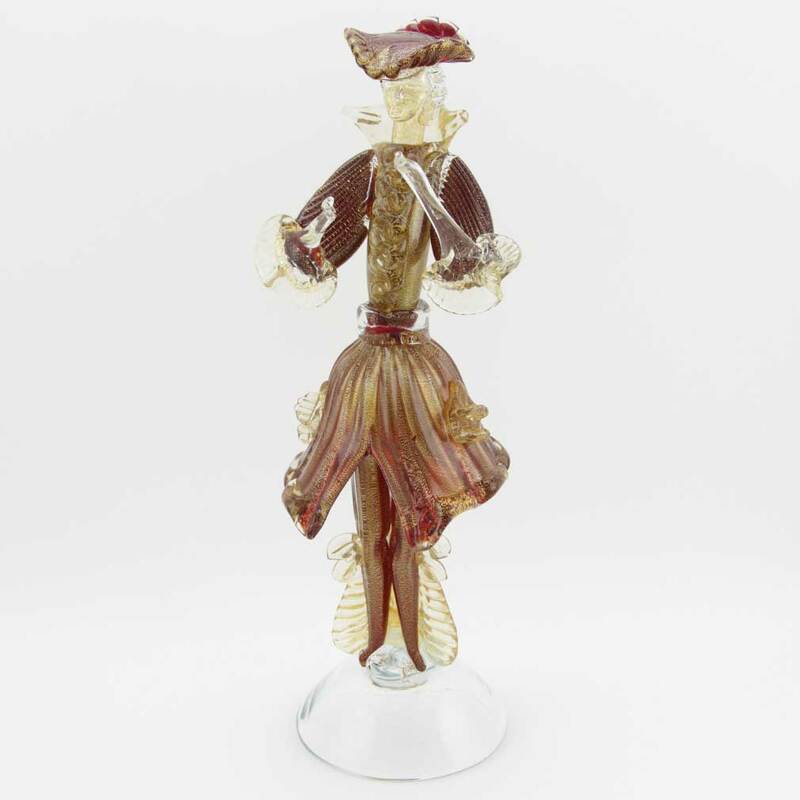 Venetian opulence and glamour are reflected in this Murano Glass sculpture of a local well-heeled Gentleman in period clothes that seems to have come out straight from an extravagant seventeenth century Venetian ball. 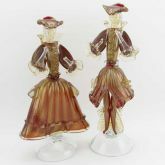 His fine clothes are sculpted with precision rarely seen in modern times, showing every fold and wrinkle, the luxurious texture of the materials, and giving us the feel of the gracious movement of this Venetian nobleman caught in mid-conversation. 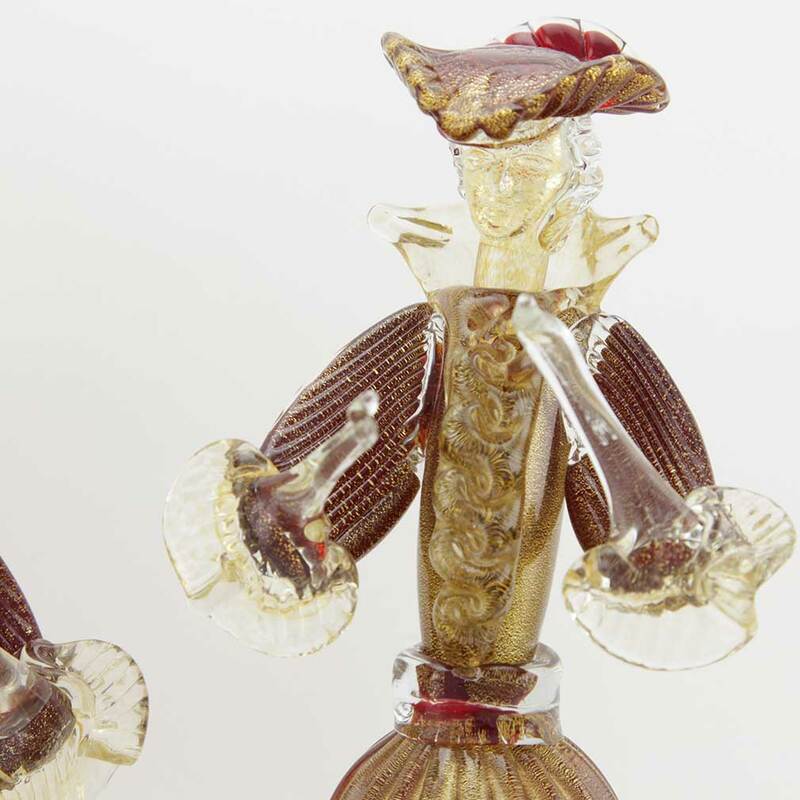 Crafted with amazing technical prowess and artistic genius by prominent Murano Glass artists whose works are displayed in museums and galleries worldwide, this Venetian Gentleman figure showcases the best characteristics of the millennial tradition of authentic Murano Glass. 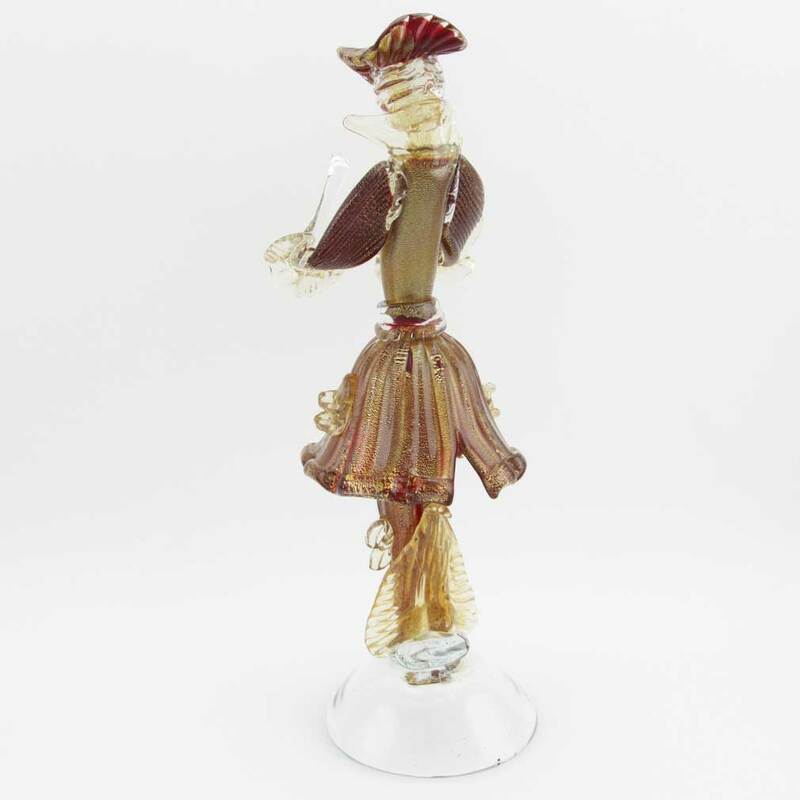 Exquisite craftsmanship, fine design, deep luscious colors, rich inlay of 24K gold give this sculpture its sumptuous and unmistakably Venetian look. 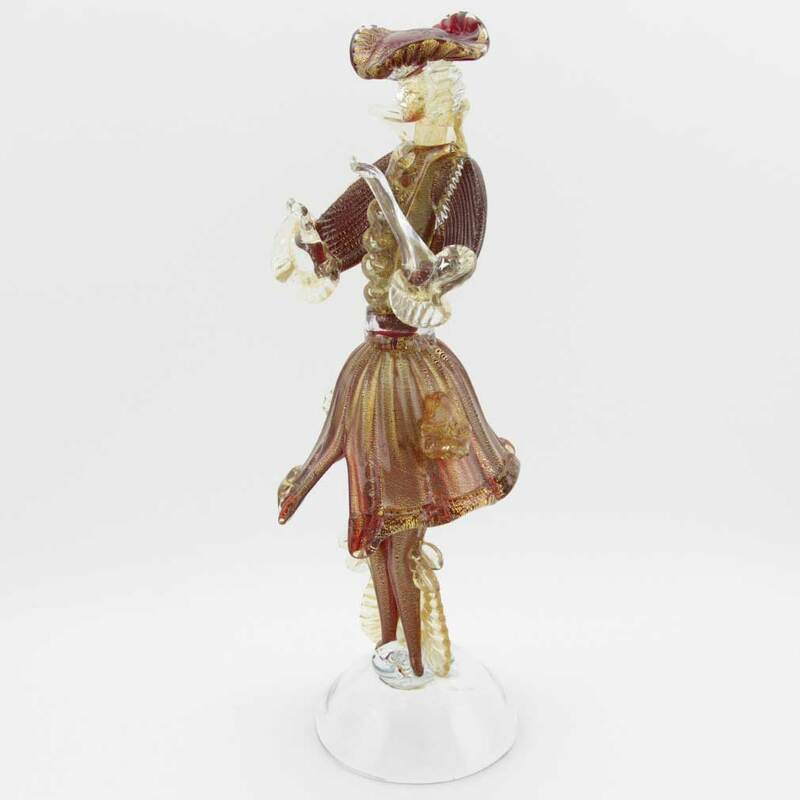 A rich and memorable gift to anyone who appreciates Venice's beauty, its glorious art and glamorous feel, this Venetian Gentleman sculpture is sure to be appreciated and become a family keepsake that will be treasured for generations.